As the first month of the year slowly draws to a close, company operations after the busy holiday period are beginning to return to normal. For example, Nintendo has officially announced it will be airing an indie-focused presentation tomorrow on its UK YouTube channel. Looking further ahead, Nintendo of America's Twitter account has posted a tweet asking followers what Switch games they are most looking forward to in 2019 and the reason why they are so excited about these particular titles. If you want to have your say, all you need to do is reply to the below tweet and it might be included in the first episode of the Nintendo Power Podcast for this year. 2019 is expected to be a big year for Nintendo with upcoming releases on the Switch including games like Yoshi's Crafted World, the new Pokémon title, Animal Crossing and Luigi's Mansion 3. What games are you looking forward to this year? 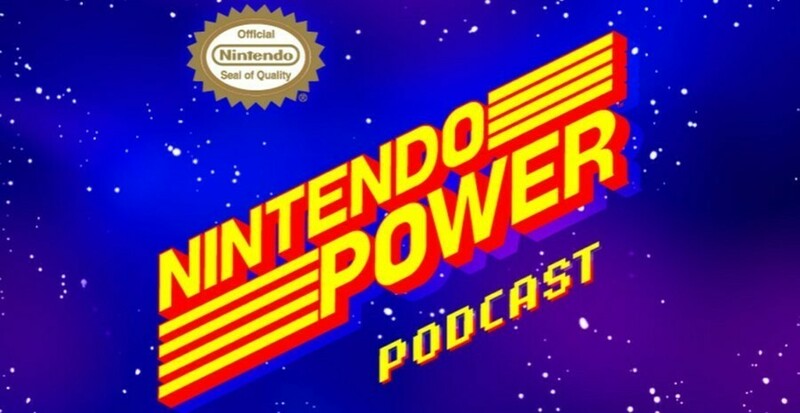 Do you listen to the Nintendo Power podcast on a regular basis? Tell us below. I'm reminded I subscribed to this podcast awhile back, I need to give it a listen more. Personally, this year I'm looking forward to Yoshi's Crafted World and Team Sonic Racing so far. Dragon Quest XI S, Yoshi’s Crafted World, Luigi’s Mansion 3, the new Metal Slug, and the new Samurai Shodown. So far, Dragon Quest XI and Builders 2. I'm really looking forward to Daemon X Machina. The Evangelion theme is gonna be playing in my head on repeat from the period of time from when I get the game to when I boot it up for the first time. Daemon X Machina, obviously. Are there other games coming out in 2019? FFXII, but that's a double dip for me. Had it on PS2. Definitely pumped for Fire Emblem and Pokémon. Hoping for Dragon Quest 11 and Metroid Prime 4. Oddly enough I’m most excited for SNES online?! How awesome would N64 and GBA emulation be? And I'm currently loving New Super Mario Bros. U. This is an awesome year to be a Nintendo fan! Let's get some actual first party news. Idk pretty excited for Luigi's Mansion, Pokemon, Dragon Quest XI and Doom too. The big ones for me are Daemon X Machina and Bayonetta 3..if that does indeed being a 2019 release. But im excited for pretty much everything thats coming to Switch. So pumped for Wargroove! Also looking forward to Fire Emblem. 5) FFXII and FFIX - out of all of the Final Fantasy games coming, they’re the ones I’m most interested in checking out for the first time. After those, I guess... Luigi’s Mansion 3? Wow. Way more excited for third-party content, it would seem, than first-party content. Is Metroid Prime 4 an option? Would also like to see the traditional third iteration Pokemon game for Let's Go. @Bengals76 god I want a madden game on switch so bad! I'm drooling over the moments I've seen it in action. Animal Crossing, Pokemon and Fire Emblem are the biggest ones that are confirmed. I'd say Wargroove too, but I have been waiting for that game since the Switch launched... So I am not gonna assume it is coming out until it actually is out. Well atleast the next upcoming Game which i would count as one of my absolute Most Wanted will be Dragon Marked for Death. Inti Crate did so far an pretty amazing job with their games, but the reason why i can't wait for Dragon Marked for Death is because since Maple Story i looked for an proper offline variant of it, and DMFD come a bit closer to the dream. Except that, i would say obivviously games like Daemon x Machina, Metroid 4 (if it will be released this year) , animal crossing, yoshi, bayonetta 3, fire emblem... if the leaks are true than Persona 5 for switch and many more. Pokemon, Luigi's Mansion 3, Fire Emblem: Three Houses, and Yoshi's Crafted World. Also more Sega Ages. For me no exciting titles have been announced for this year, mostly stuff I’m mildly interested if at all. Hopefully we will get DQ Builders 2 (just started the Japanese demo), some kind of a Pikmin announcement (port of 3, or a new one), or a port of Windwaker HD. Metroid coming in 2019 would make everything better, but I don’t expect that. And a port of Mario 3D World. Animal Crossing, and Bayonetta 3 if that comes out this year. Honestly....although I'm excited for Animal Crossing, my #1 is Wargroove. Where is it?! And what do they want to know that for? Eh? EH?! Metroid Prime 4 and Fire Emblem, of course! It will always be Metroid Prime 4 until further notice. Honorable mention: Saints Row 3rd (I don't rule out a chance it may tempt me even ahead of Saints Row 2 I've yet to start). More sega ages dreamcast titles please! Prime if it's coming this year but I don't think so! And while it seems to be a dead loss I'm still hoping for a Final Fantasy Tactics. I always liked it more then the Fire Emblem franchise and even more since Fire Emblem to me seems like they're milking a cow with all the overpriced DLCs. Animal crossing, with out a doubt. Animal Crossing, Dusk, Streets of Rage 4, and Fire Emblem: Three Houses. I’m super excited for Luigi’s Mansion, Ninjala , Pokemon, Wolfenstein (hopefully! ), and Marvel. I enjoy Yoshi and Animal Crossing but they’re not the big guns for me. I know we have a pretty good year in terms of what we know is coming out but I’m still thinking there’s going to be a surprise. FF12, Personsa 5, and maybe Animal Crossings if it's anything like StardewValley. Oh and that cat one too, Mineko's Night Market. Fire Emblem Three Houses, Animal Crossing 2019, Pokemon 2019, & Digimon Survive if the West actually gets that this year. I’m looking forward to Doom Eternal, Animal Crossing, and Mortal Kombat 11.